Photo by CC user saschaz3 on Pixabay. Want to take the whole family to Disneyland in Florida this year? This is a trip that creates memories that last a lifetime, so be sure to make the most of your Walt Disney World vacation. Below, we will break down each of the major parks that can be found within the Walt Disney World complex. Have fun planning your itinerary! 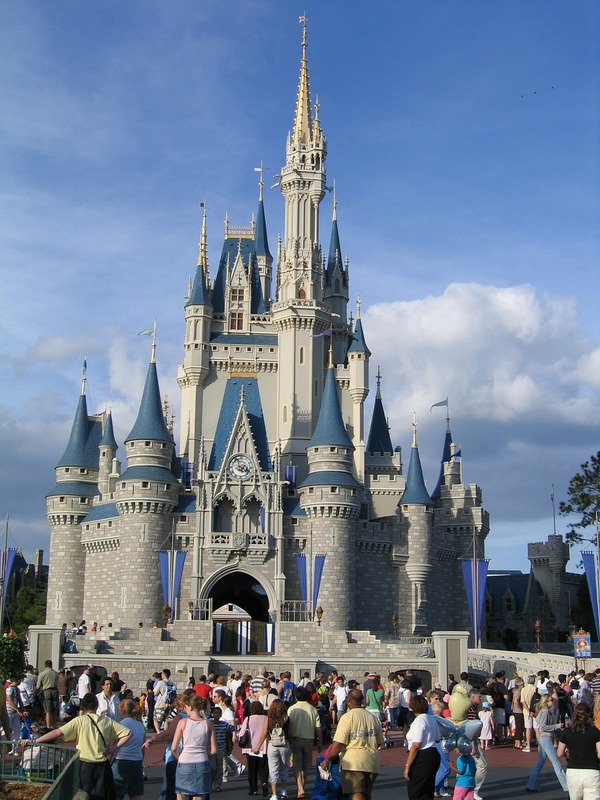 Begin your trip to Walt Disney World by spending your couple of days in the Magic Kingdom. Patterned after the original incarnation of Disneyland in California, the Magic Kingdom is divided into six parts: Main Street USA, Fantasyland, Tomorrowland, Adventureland, Frontierland, and Liberty Square. Main Street USA consists primarily of boutiques and restaurants, while the other sections contain a variety of rides that are affiliated with the theme of each land. If you want to connect with the Pirates of the Caribbean, Adventureland is where you will want to go. Want to ride the Big Thunder Mountain Railroad? Check out Frontierland. If you are looking to experience the thrill of Space Mountain, then you will want to make a beeline straight for Tomorrowland. Be sure to dedicate at least two days to the Magic Kingdom, as you will not have time to discover everything in a single visit. After finishing off the Magic Kingdom, head straight for EPCOT. Epcot stands for Experimental Prototype Community Of Tomorrow, with many of the exhibits and pavilions found within representing a positive vision of the future. In addition to profiling the latest advances in science, there are a number of exhibits at EPCOT that highlight different countries and cultures from around the world. From Canada to China, each of these has attractions that give visitors a taste of what each of these corners of the globe are like. Get up close and personal with the movies that Disney has made by paying a visit to Disney’s Hollywood Studios. Attractions here are based around the franchises that Disney has created over the years, with entire sections of the park dedicated to the Muppets, Star Wars, and its many animated films. Have your children go through Padawan school at Echo Lake, experience a 4D film in the Muppets Courtyard, and take in a live show at the Hollywood Hills Amphitheater – these are just a few of the attractions that can be found here. Gain a new respect for the creatures that populate our world by exploring the Animal Kingdom. The Animal Kingdom is the culmination of one of Walt Disney’s core dreams – to create a park that would help promote the conservation of the natural world. Divided into areas such as Africa and Asia among others, it showcases animals from all over the globe while working to boost numbers of the threatened species that they have in captivity here. Even outside the summer months, the intense Florida sun can be a bit much. Thankfully, the Walt Disney World complex has not just one but two water parks – Typhoon Lagoon and Blizzard Beach. Typhoon Lagoon is home to the second largest wave pool in the world. It also contains countless slides, flume rides, and a lazy river that encircles the entire park. At Blizzard Beach, you will find the third tallest and the fastest freefall waterslide on Earth, Summit Plummet. In addition to this highlight, there are plenty more slides and rides to keep you and your kids occupied.